John Coates, Senior Research Fellow, University of Cambridge and former Wall Street Trader. 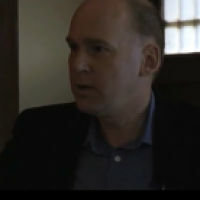 Speaking at the Daedalus Trust / Brain Mind Forum Research Café, held 7 October 2011, Magdalen College, Oxford. “During bull markets, and in particular the dotcom bubble, traders on the floor had started to be – euphoric, delusional, they had racing thoughts, diminished need for sleep, they seemed a lot hornier than they used to be and their appetite for risk expanded exponentially. And the risk-reward trade-offs, the positions they were putting on were deteriorating.